Land Rover Colorado Springs in Colorado Springs, Colorado currently has this smooth ebony 2013 Land Rover Range Rover Evoque Pure 4WD SUV in our inventory. Because this vehicle is Approved Certified, you will be getting a great 6 year/100,000 mile limited warranty plus many other amazing benefits. This vehicle has less than 26,000 miles and is priced at less than $32,000! 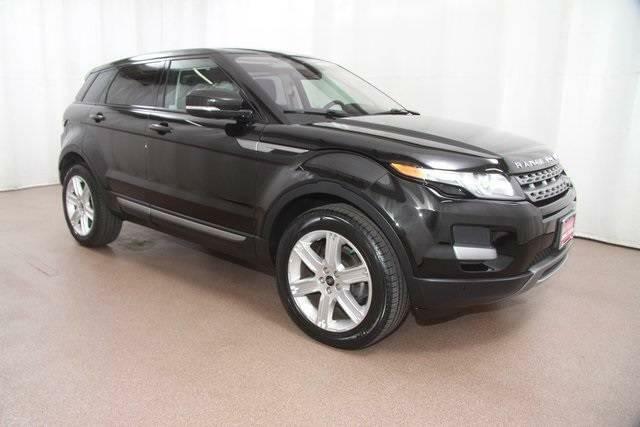 This CarFax one-owner Range Rover Evoque is equipped with a 2.0L I4 engine. That gets an estimated 20 MPG city/28 MPG highway. Don’t worry, it has plenty of super features too! These features include brake assist, Climate Comfort Package, heated front seats and heated front windshield. Heated steering wheel, heated windshield wiper jets, Meridian premium sound system, traction control, and so much more will give you an improved driving experience. So, stop into Land Rover Colorado Springs to learn more about this luxury SUV. Check out our entire lineup of quality pre-owned vehicles. You could even take a test drive to see if this SUV is the perfect fit for you!